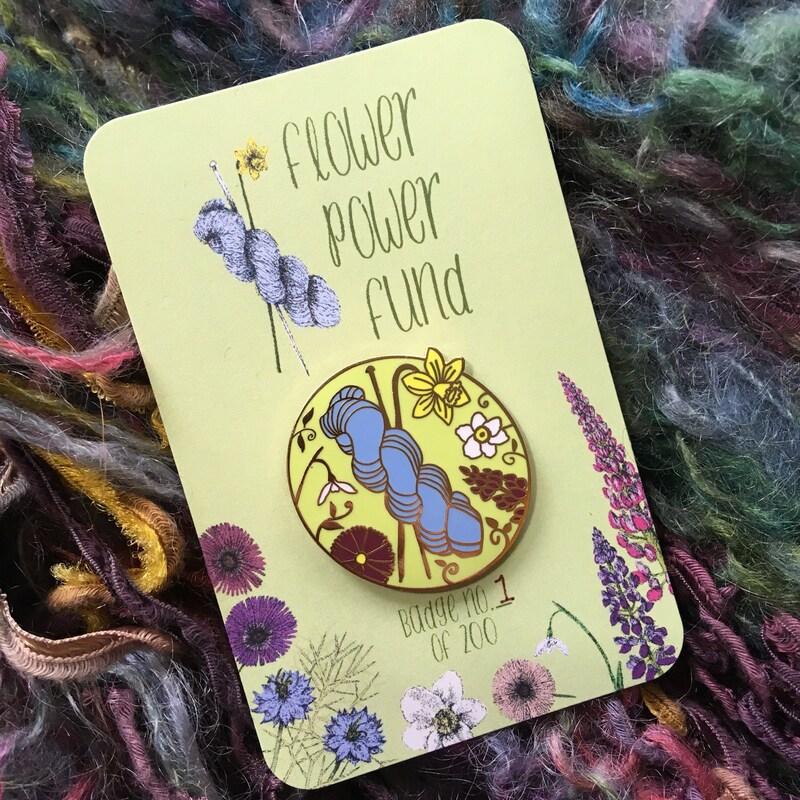 This is a really exciting chance to get your hands on one of these lovely, limited edition, hard enamel pins in support of the Flower Power Fund. 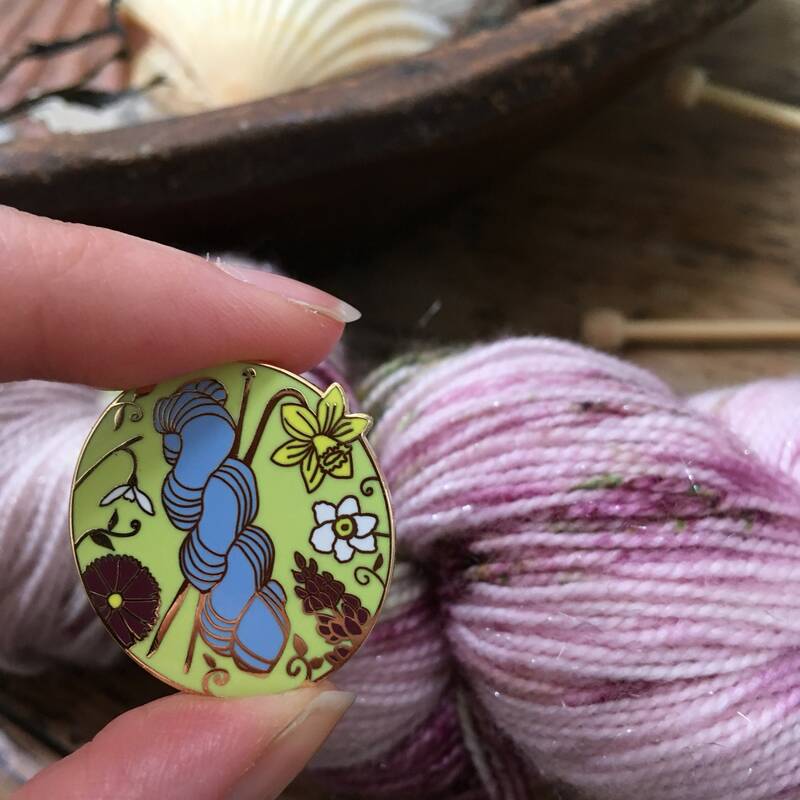 The pins are 30mm tall and just under that wide. 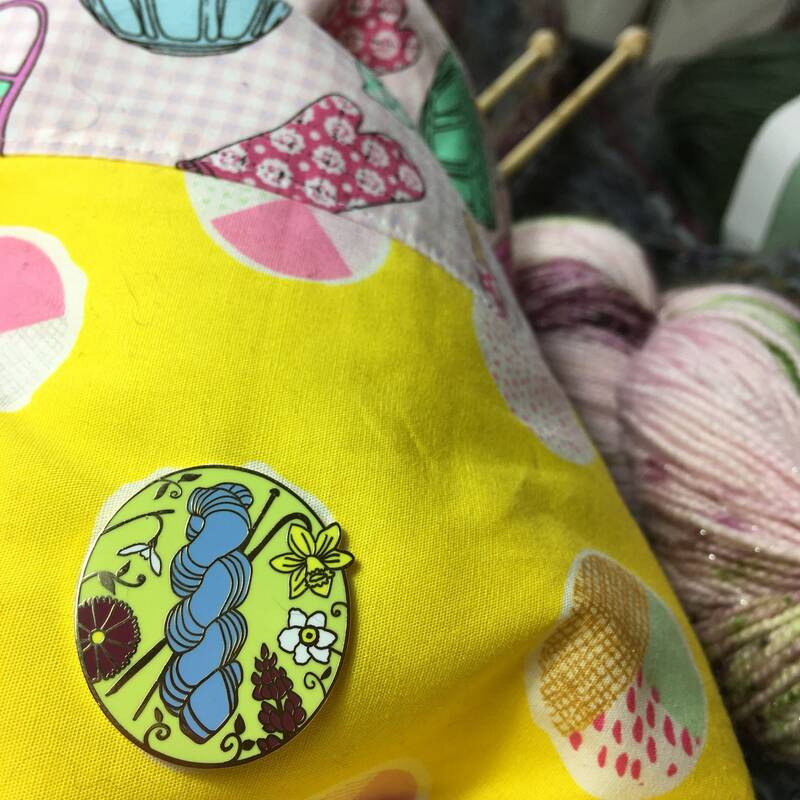 They are finished to jewellery quality and are very shiny! 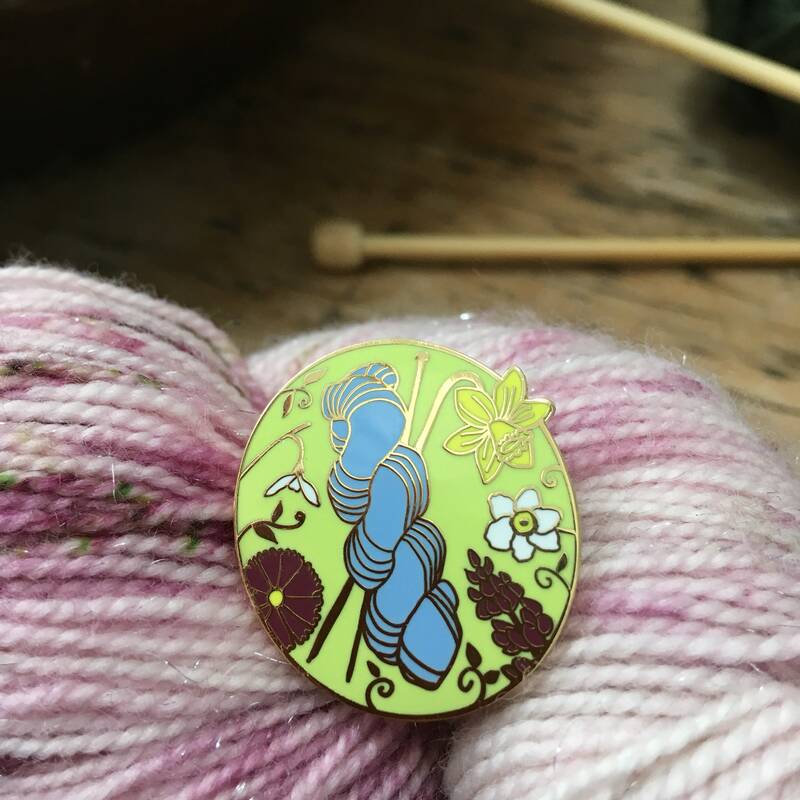 There are only 200 of these being made and come on a pretty Flower Power Fund backing card with the number written on. 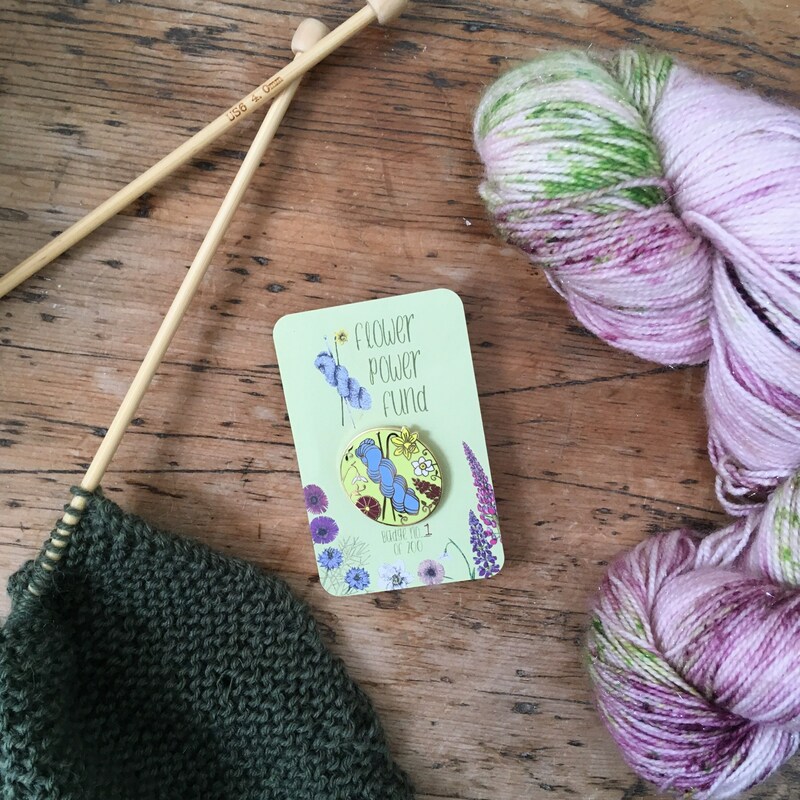 They show the Flower Power Fund logo with a skein of yarn and some of the flowers featured in the project - a hellebore, lupin, daisy and (of course) daffodil. 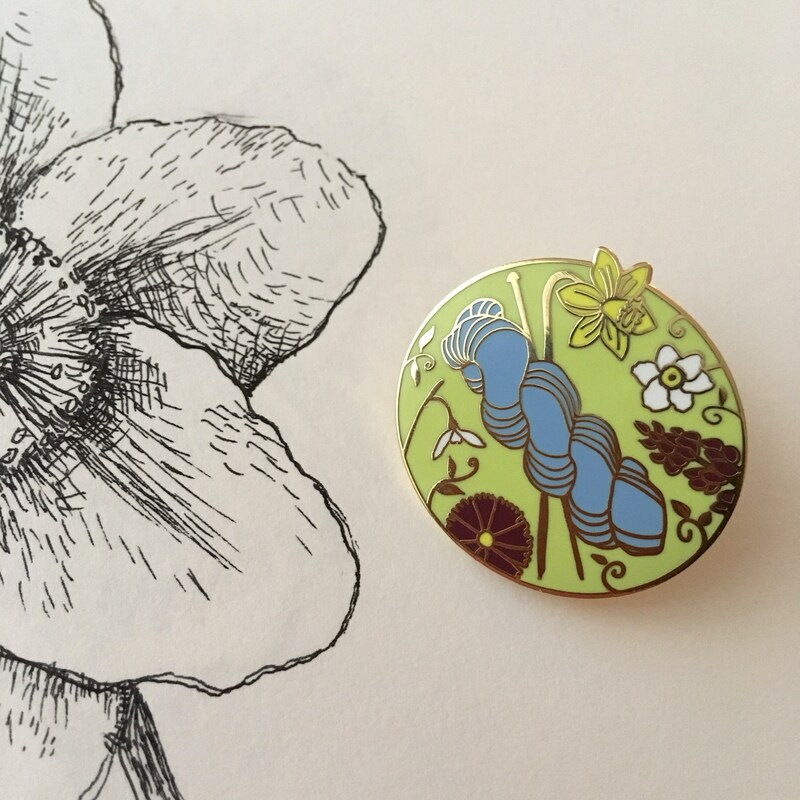 £2 from the sale of each pin goes to Marie Curie (registered charity number 207994 England & Wales, SC038731 in Scotland). 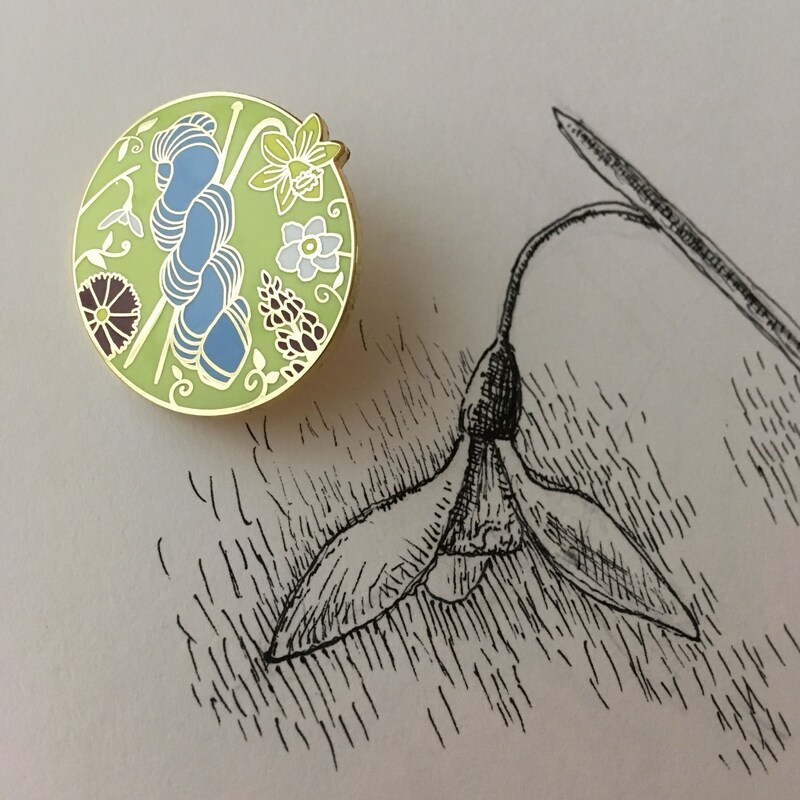 I'm delighted with how this has come out - the pics don't quite do justice to how pretty the pin is - and I can't wait for you to get your hands on one!